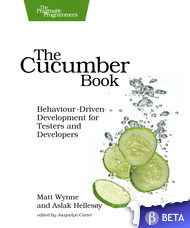 Over the weekend we released Cucumber version 1.3.0. This was quickly replaced by 1.3.1 when we realised there was a bug 1.3.0 that only appeared on Windows. Along with masses of bugfixes, this release contains the early stages of some serious internal refactoring work planned for release in version 2.0. Although our tests continue to pass, it may be that we’ve changed untested behaviour so that’s why we’ve bumped the minor release number. We’re already aware of one minor bug that’s been introduced. Please let us know if you find any other issues. 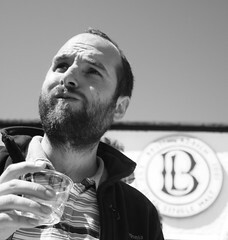 Posted by Matt on Monday, April 22nd, 2013, at 1:31 pm, and filed under BDD. Concerning issue #178 (Support for macros), as my teammates were longing for a macro facility in Cucumber, I created a gem called macros4cuke -available in Rugygems.org- that allows feature file authors to create their own macros/routines. After this, two remarks come to my mind: 1. Implementing this macro-facility was really easy. No change in Cucumber was required. This illustrates the flexibility in the design of Cucumber. Many thanks. 2 Adding macros wisely, has a tremondous effect on the way scenarios look like: it really helps to decrease the gap between the lower-level housekeeping details and the user intents.